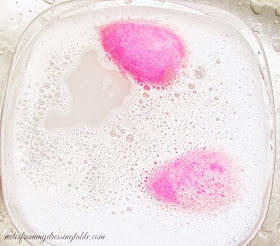 It's officially fall and I am beginning to crave all things soft, soothing, comforting and cozy. I recently received a lovely set of comfort items that are filling the bill, quite nicely. 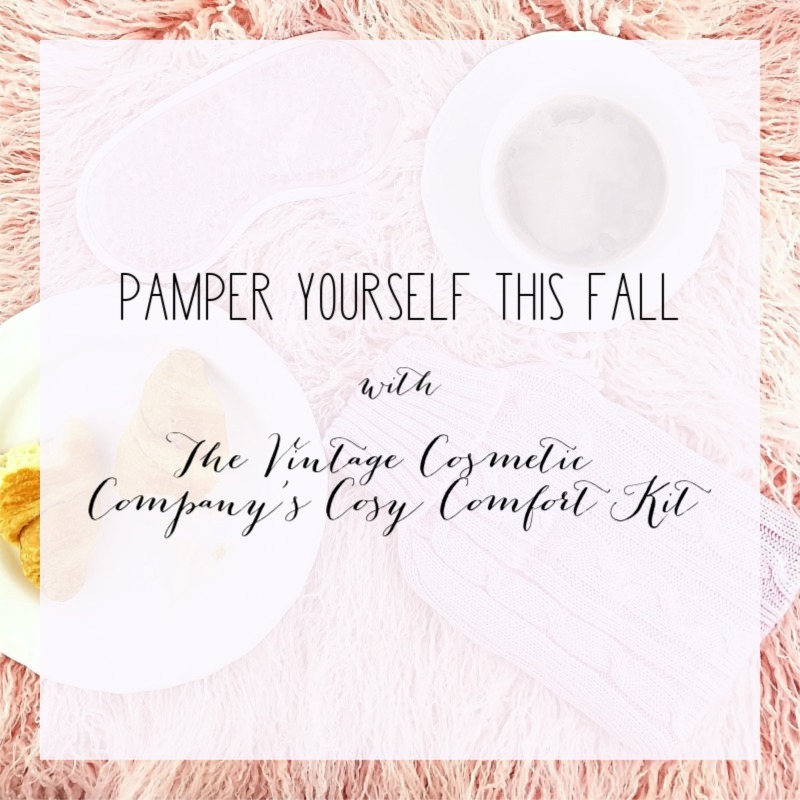 The Vintage Cosmetic Company Cosy Comfort Kit is a set of two pretty and affordable self care items that were created to help you relax and recharge. 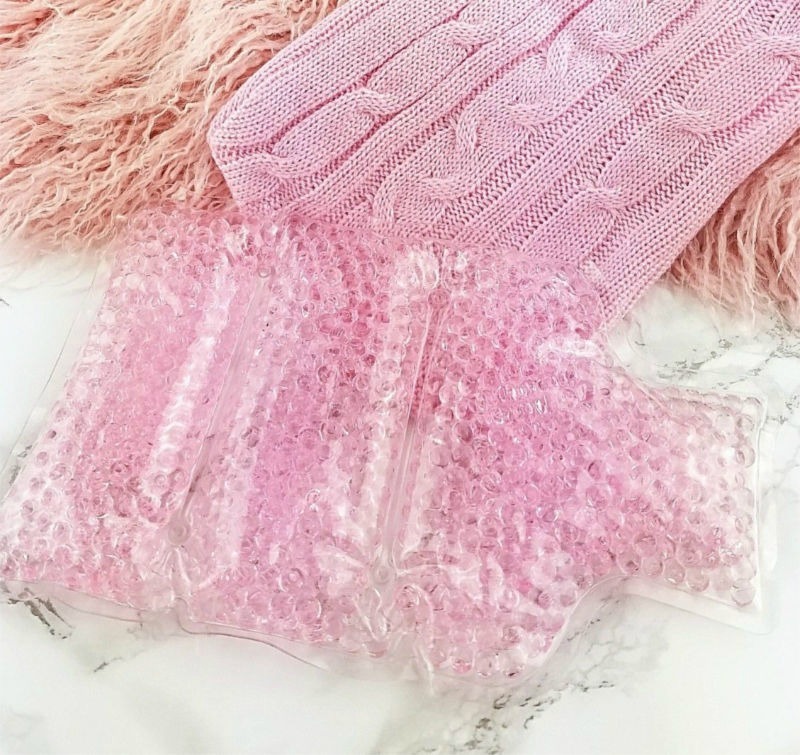 In the kit are a Gel Bead Comfort Pack that can be used heated or chilled to relax tense, sore muscles or joints and ease menstrual cramps and an eye mask that, when chilled in the fridge or freezer can soothe and depuff tired eyes or help calm a headache. The secret to the soothe is in the gel beads. If you know the rest of that passage, you were probably raised as weird as I was. 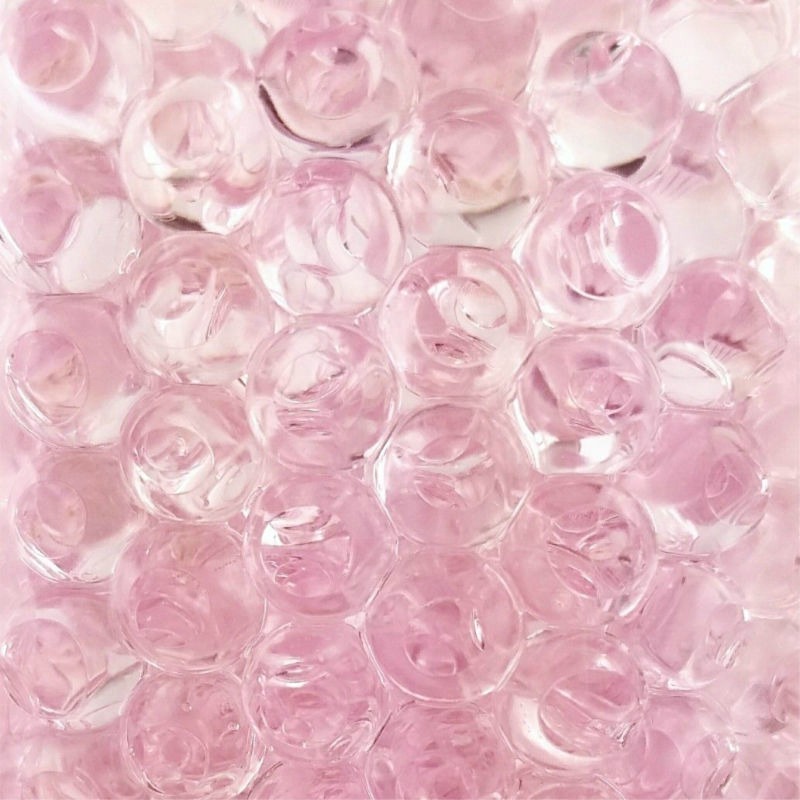 The secret to how the Cosy Comfort Kit can do it's job is all about the gel beads comprised of 70% Water, 20% Glycerol and 5% Sodium Polyacrylate in a clear PVC freezer and microwave safe outer pack. The gel beads provide gentle warmth or cooling to the spot where you most need or want it. The Comfort Pack is just the thing for my sore shoulder or knee and it should be nice to cuddle up with on a chilly evening. A couple of times, I've warmed up my Comfort Pack, placed it just so on my shoulder and drifted off to sleep only to wake up an hour or so later to the additional weight of my cat, curled up on the pack, snoozing and purring. Little brat better keep his claws out of it, is all I can say. 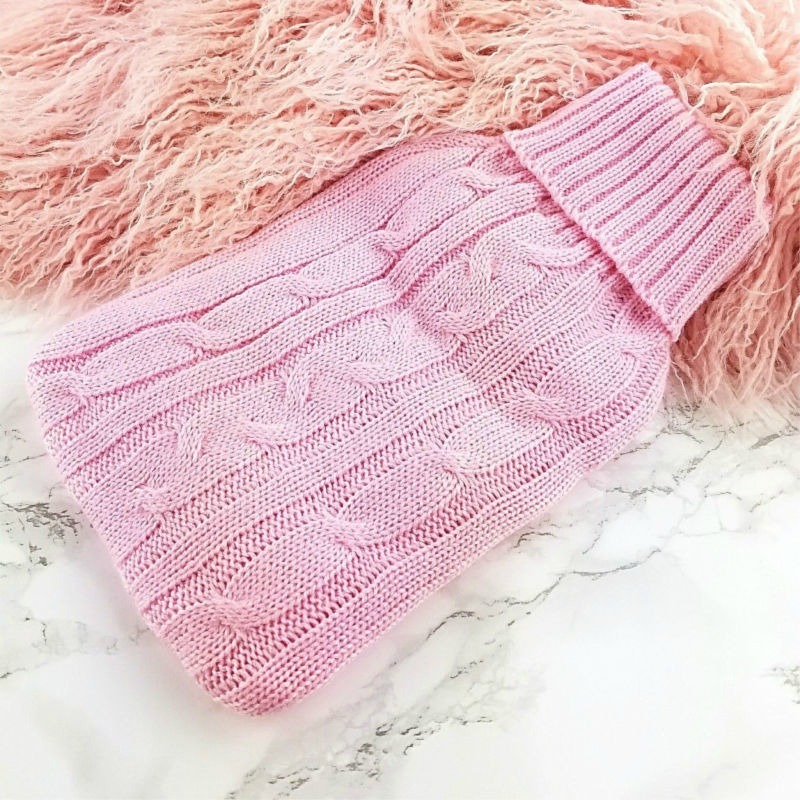 Wrapped in a cloud soft, cute little pink acrylic cable stitch "sweater" is a multi chamber gel bead pack that easily and safely takes over for the old fashioned hot water bottle. The Comfort Pack quickly warms up in the microwave. The directions on the package say to remove the gel bead pack from the sweater and pop it into the microwave on high for twenty seconds. In my experience, twenty seconds isn't long enough to warm up the beads evenly or to a point where the warmth will penetrate and last for a while and this is where I go way off label and do my own thing. Now understand, I am not advocating that you do the same. However, if you also find that the pack isn't warm enough after the recommended 20 seconds, here is how I go about customizing the heat level to where I like it: I place the nekkid gel pack in my microwave in the middle of the turntable for 10 seconds on high. Gently massage the pack to move or "stir" the beads around, flip the pack over, repeat. Then, I move the pack to the edge of the turntable, run it for 15 seconds on high, massage to stir the beads, flip over so that the other side is to the outside of the turntable, 15 seconds and massage to stir. If it's still not quite warm enough, I give it another 10 to 15 seconds, massage, repeat if needed. The gel pack is very warm but not so hot that I can't safely handle it to put it back in it's sweater or that I have to worry about it hurting my skin. Heated the way I like it, the pack stays warm for over an hour, gently and deeply relaxing sore, tight muscles as it gradually cools. I could see this being a great ice pack, too. Pop it into the freezer for a while then slip it into it's sweater and drape it across a sore neck, knee, ankle, wrist or back. The Comfort Pack is not intended for use by children under three years old and supervise use by elderly or less mobile persons to prevent injury. My favorite item in the Cozy Comfort Kit has become the Eye Mask. This gel bead mask has a super soft, velvety backing and an adjustable elastic headband with a Velcro closure that I can set just so for maximum comfort. 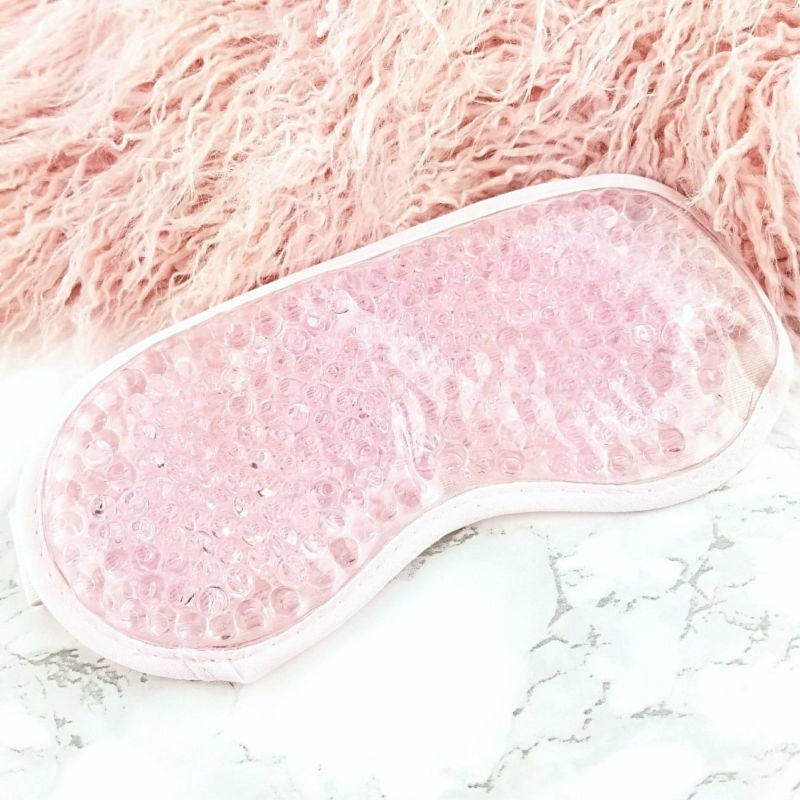 The Eye Mask is just the ticket to soothe and depuff my eyes after I've had a bad night's sleep or when the fall pollen counts leave me with swollen, red and miserable peepers. I have had migraines all of my life and the pain can be so intense. Since I got the Eye Mask, I've started tossing it in my freezer when I get an aura and in about half an hour, it's partially frozen and ready to gently settle on the right side of my head, where my migraine headaches tend to concentrate to temporarily soothe and slightly ease my pain. It really does help me feel a little better for a while and I appreciate that. The Eye Mask would also make a handy little lightweight ice pack for a black eye, a wrist or elbow or for a kiddo. Taking care of the Comfort Pack and the Eye Mask couldn't be easier. 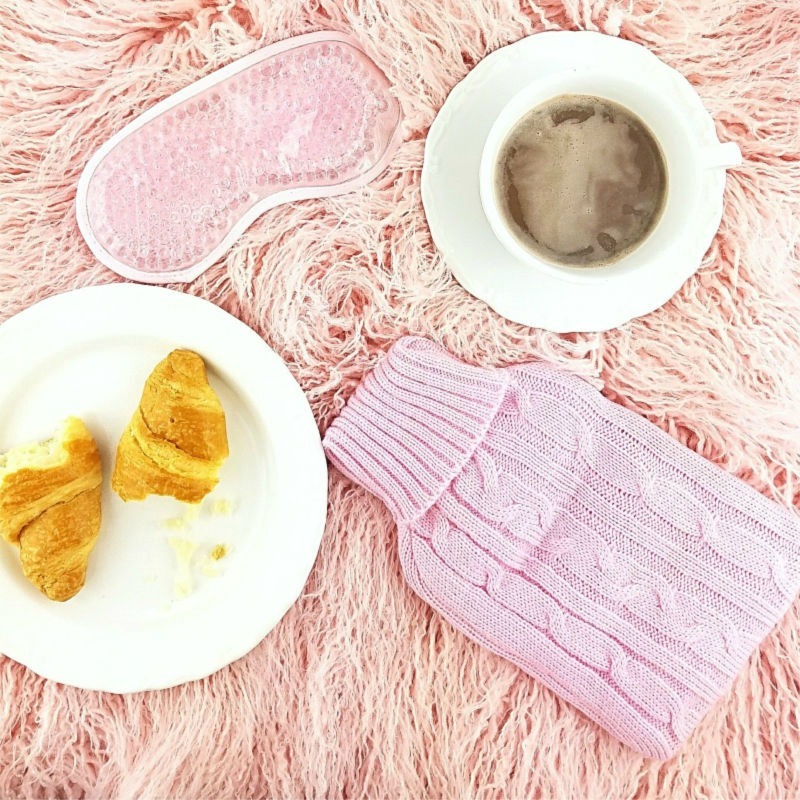 The sweater and eye mask are hand wash, hang or lie flat to dry. If I'm doing a few delicates on the hand wash cycle in my washer, I can toss the sweater in with them. The gel bead packs are wipe clean. The Vintage Cosmetic Company Cosy Comfort Kit - $15.00 is available online only from Ulta Beauty. This kit would make a lovely and welcome little gift and at only fifteen dollars, U.S. is so affordable that you can pick up several for family members, friends and coworkers you really want to pamper. While you're at it, don't forget to grab one for yourself! Do you use EBATES? If you're not familiar with EBATES, it is a free to use service that hooks you up with cash back when you are shopping online. It's super easy to use; just sign up, install the extension on your browser and start shopping. Before you check out, click the EBATES icon or the little page flag to activate your cash back offer for that site. After you check out, you'll receive an e-mail notifying you about the cash back you earned for that transaction. The other day, I placed a small clothing order and added five dollars to my account kitty just for buying a few things I needed. I love that! After you make your first transaction, you will receive a $10. gift card and I earn a small commission that I use to help support this blog. 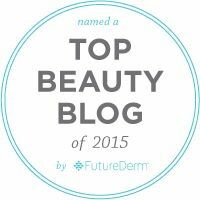 Going through this process methodically will help you get the best deal possible.Non-Surgical Face Lift Costa Rica Talking about best deals, never go for the "quickie" surgeries with the affordable surgery prices. They can and will put anything they need on the product in light of the fact that nobody is viewing,Cate Blanchett Anti Aging Products and their definitive objective is to make the deal. They have no enthusiasm for your wellbeing.